The H. C. Johnson PTO raises funds in many ways, including rewards programs, sales percentage donations from merchants, coupon books and discount cards, and gourmet foods sales. We fundraise so we can meet our school’s many needs for technology equipment, new student education programs, teacher training, equipment, and educational materials. Your participation in our fundraisers is critical to the PTO’s ability to meet the school’s needs and directly improves the quality of our children’s education and the school facility. Many of our fundraisers don’t require any direct financial contribution from you — you simply have to designate the H. C. Johnson PTO as the charity beneficiary of purchases you are already making. Our current fundraising programs are listed below so you can learn more. Amazon Smile — Amazon Smile is Amazon.Com’s charity donation program. When you shop on Amazon.com, start your shopping at this link and H.C. Johnson Elementary School will receive a donation from Amazon that equals .5% of your purchase on qualified items (MANY items qualify!). It’s just like regular shopping on Amazon — you don’t have to do anything except start at the PTO’s Amazon Smile page. We are participating in the Stop & Shop A+ School Rewards Program, a great fundraising program. HCJ can earn CASH through this exciting program. Each time you shop at Stop & Shop using your Stop & Shop Card, you will earn CASH for our school. 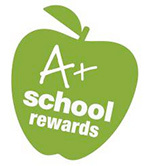 You can track the amount of points you earn for our school by checking your grocery receipt. Each month, the amount of CASH awarded will be updated on the Stop & Shop A+ website. Our school will receive a check at the end of the program. 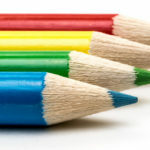 The money can be used for any of our school’s educational needs. Taking just a minute of your time to register your Stop & Shop Card can make a huge difference to our school. We need your support. Please be sure to register H C Johnson using ID #40664 at www.stopandshop.com/aplus or call the A+ Hotline at 1-877-275-2758 for assistance. Directions are available on this flyer. Also, don’t forget to encourage your friends and neighbors to do the same. 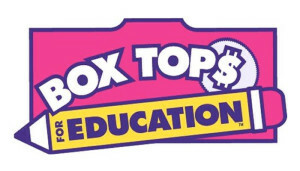 Box Tops — Box Tops earns our school cash for every label you clip from a participating product and submit to the school. Get your labels in to school by February 12 with your entry into our Winter Box Tops Contest to win prizes! Register with Box Tops and you can enter our school in their giveaways to win thousands of dollars! Route 9 Community Discount Card — This discount card gets you savings at hundreds of businesses throughout Jackson and several other neighboring towns. 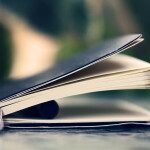 Check out the list (updated frequently!) and fill out this form to purchase your card for $20 (UPDATED FOR 2016-2017 card!). A portion of the card purchase price supports the PTO. 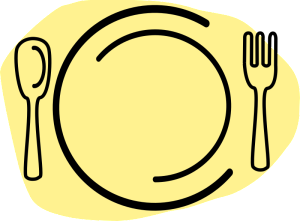 Dine Outs — Throughout the year, the HCJ PTO cooperates with local restaurants for “Dine Out” nights where Johnson families can get together for a bite out and give the stove (and the home cook!) a rest for the night. 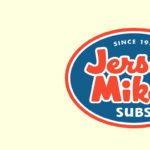 A percentage of Dine Out sales is donated back to the PTO by the restaurant. Check the Events calendar for this year’s Dine Outs. Gertrude Hawk — Twice a year, the HCJ PTO offers Gertrude Hawk chocolates (yum!) as a fundraiser. 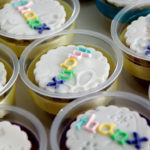 Your purchases support the PTO and take care of your holiday goodies shopping at the same time! 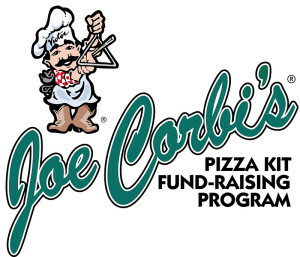 Joe Corbi — Each January, the HCJ PTO conducts a Joe Corbi’s pizza and baked goods fundraiser that is delivered just in time for your Super Bowl party. Kids love the make-your-own pizza kits! Check out the Event page for more info! KidStuff Books — Each Fall, the HCJ PTO makes KidStuff books available for purchase. This book is full of big discount coupons to major retailers and local attractions — all the stuff you do anyway, but now you can save money! Shoparoo — Shoparoo is a free app for iOS and Android phones that allows anyone to take pictures of their shopping receipts and earn cash donations for their schools. Just snap a picture of your grocery receipt on your smartphone, and voila, you’ve made an instant cash donation! You can also take pictures of your non-grocery receipts (from clothing stores, electronics stores, restaurants, home improvement stores, etc.) for entries into Shoparoo’s cash donation sweepstakes that can reward a school up to $15,000! Shop Rite for My School — Shop Rite for My School is easy! Register your Price Plus® club card today so you can start earning eBoxTops for our school! Read the list of participating products and put them on your grocery list! Target Take Charge of Education — Use the Target Credit or Debit REDcard, and Target will donate 1% of your Credit or Debit REDcard purchases made at Target and Target.com to help H.C. Johnson Elementary School. Sign Up at Target’s web site. TD Bank Affinity Program — TD Bank will make an annual contribution to the HCJ PTO for all account holders who designate H.C. Johnson PTO as their charity of choice. If you have an existing TD Bank account, the PTO can earn $10 just by you telling either TD Bank or the PTO your name. If you open a new account and mention HCJ PTO, we earn a $50 contribution from TD Bank. You just need to give your name.